We’re in the dog days of summer now, but autumn has already come and gone in the world of fashion—designers showed their Fall/Winter 2017/18 collections back in March. From vibrant greens to bold buzz cuts, the big styles of the upcoming season are all about having fun and living on the edge (at least aesthetically). Want a sneak peek of more things to come? Read on for inspiration. We’re loving the blunt bangs on this model, who walked in Christophe Sauvat’s Fall/Winter 2017/2018 collection during Lisbon Fashion Week. They’re especially flattering on oval face shapes, as they visually shorten a long face. 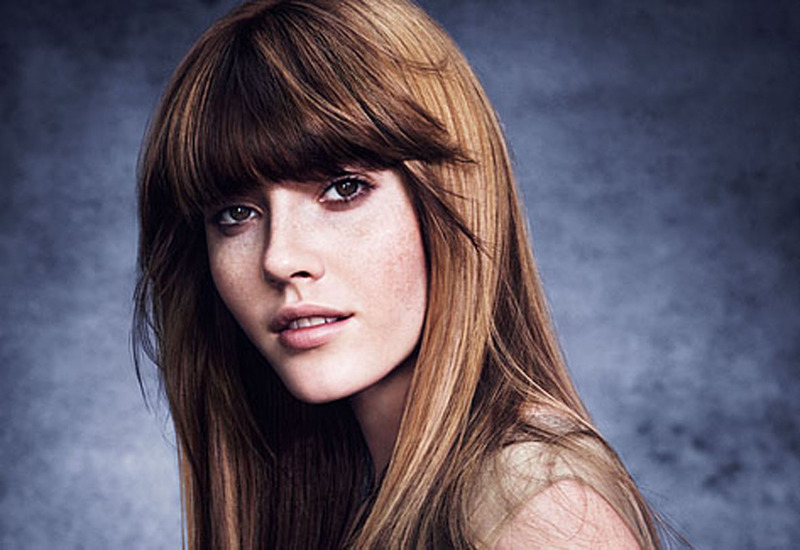 However, bangs can be high maintenance, so stop by Indira Salon Spa for tips on making them work (Plus expert advice on which take on the trend is best for your face shape!). Even if you’re not ready to try something bold, we’d be happy to recommend more subtle seasonal updates to your cut and color. There’s no better time than fall for fresh starts—and your look is a perfect place to make one. Go online to book an appointment at Indira Salon Spa.